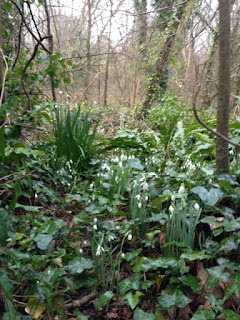 When the snowdrops appear in Della's woodland and adjacent garden at Hill Cottage my neighbours and I breathe a collective sigh. It marks the beginning of the end of winter for many who are just holding on through the dark days. I have written before about the joy of snowdrops and the collective mania or Galanthaphilia but this must be the first year that I have seen both snowdrops and snowflakes ( Leucojum aetivum) in flower side by side. Their beautiful simplicity never fails to enthrall. 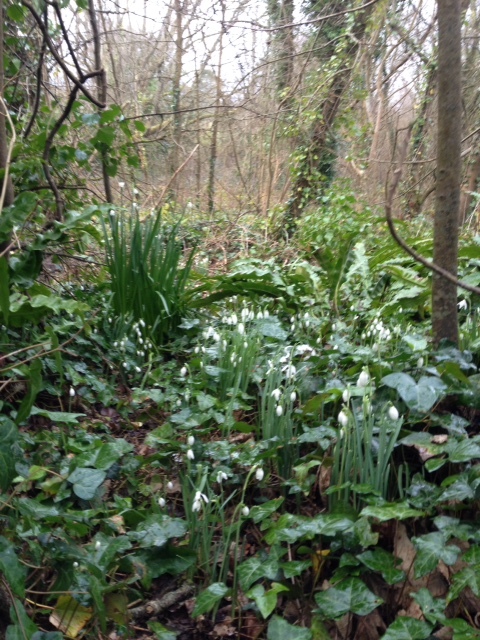 Stark white against the deep dark woodlands like pockets of fallen snow melting amongst the mouldering leaf litter. Tiny and fragile when viewed in isolation belying a strength and resilience. In large swathes poking up between the ivies and ferns of the woodland floor they really can stop a walker in their stride. I try to pot up a few divisions each year into my old vintage clay pots,the better to admire them close up. On my outside table, amongst a collection of other gardenalia they can steal the scene. Mulch them simply with moss or lichen. A mini woodland scene all on their own. My thoughts turn to a long overdue garden project on my long neglected shade border. I am looking to design a lower maintenance, naturalistic option. So I am looking to the woodland for my inspiration. I have a tall stand of sycamores and some native hedging as a backdrop so I am hoping to create a mid-storey of small trees and shrubs, magnolias, oak-leafed hydrangeas, maybe some acers and then a ground floor of woodland perennials and bulbs. Perhaps I will be tempted with some edible woodlanders like currants too? First I need to do some more research on the woodland and permaculture garden. 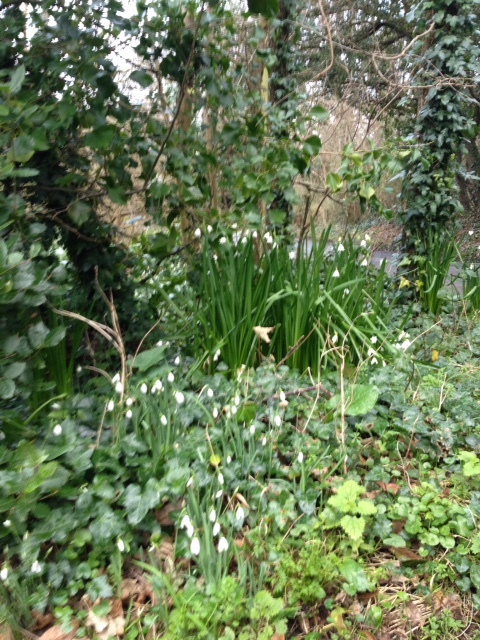 One thing is for certain I will be needing lots of snowdrops! So I will have to divide my clumps at the end of February as this is the best method for propagation. A pleasureable task.